Published: Feb. 23, 2015 at 03:05 p.m. Updated: Feb. 24, 2015 at 12:42 p.m. The on-field work is over. Folks like Daniel Jeremiah, Mike Mayock and Around The NFL superstars Marc Sessler and Dan Hanzus are coming home. The 2015 NFL Scouting Combine is in the books, so it's time to take stock of what just happened. 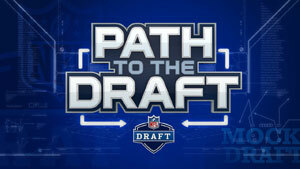 The guys at College Football 24/7 have you covered for all the great performances from the draft prospects at the combine, so we'll focus more on winners and losers on the pro side. Ryan Mallett: He's a free agent coming off a serious injury. And he's clearly Houston's No. 1 choice to start at quarterback next season. Devonta Freeman: Based on the comments of Atlanta's decision makers, the second-year running back has a good chance to step into a leading role in offensive coordinator Kyle Shanahan's zone-running scheme. Steven Jackson is likely to get cut. Peyton Manning departure conspiracy theorists: Every bit of the buzz out of Indianapolis suggests that Manning is returning to Denver. Gary Kubiak and John Elway want him back and believe he will be back. So why isn't the issue finished yet? Yes, Manning still has to take a team physical to officially be back on board. But he reportedly told the Broncos he's passed all his tests and wants to play again. This issue should be settled already, but it appears there is more going on behind the scenes. We heard that Manning expected clarity by the time the combine started but it didn't happen. Why did Elway deflect a question about Manning's contract? If the Broncos truly want Manning back, asking him to take a pay cut is out of bounds. We don't imagine Manning ever taking a pay cut. The Broncos publicly said they are waiting for Manning's answer. Manning's camp has already seemingly put out their answer publicly, but the contract answer looms. If there was no doubt about Manning's status, the issue would be settled by now. It's not quite over yet. Until a new deal is announced, there will be folks around the league that still wonder if drama could be on tap. Sam Bradford: Six months ago, we thought Bradford would be forced to take a big pay cut or get released. Now it appears there could be another option. The quarterback market is so thin that other teams could be willing to offer something up for Bradford in a trade. He's far more likely to stay in St. Louis, but he might not have to take less than his scheduled $12.95 million this season despite two ACL surgeries in as many seasons. The Rams might want to reduce Bradford's salary, but perhaps other teams would be willing to pay the freight. 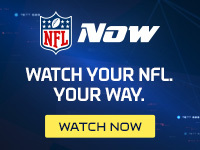 Carson Palmer: The Cardinals are unlikely to be in position to draft a high-level quarterback, and this is a thin draft for them anyway. More importantly, Palmer knows he'll have Larry Fitzgerald to throw to for another two seasons. Tyler Eifert: It sounds like the Cincinnati Bengals tight end won't have to compete with Jermaine Gresham for snaps anymore. Byron Maxwell: As the top cornerback on the market (unless Darrelle Revis becomes available), Maxwell sounds set to strike it rich. Like a lot of above average starters that hit free agency, Maxwell could get overpaid like a superstar. Robert Griffin III: Jay Gruden is taking a different tact with Griffin this time around. Just six weeks after Gruden said there would be an open competition at quarterback, the Redskins coach made it clear RGIII is his No. 1 until proven otherwise. It looks like Griffin will get another true chance to be the team's "franchise" quarterback -- at least until Gruden changes his mind again. 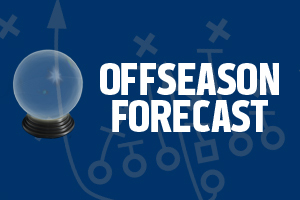 DeMarco Murray fantasy owners: The odds are that Murray will be playing elsewhere in 2015. Life without the Dallas offensive line could be ugly, and Murray is at a big risk of injury after his huge workload last season. If Murray does return to the Cowboys, his role is likely to diminish. Add it all up, and his numbers are likely to go way down. Cordarrelle Patterson: Just two years removed from being a combine superstar, Patterson was served a helping of humble pie by his offensive coordinator. Norv Turner said that Charles Johnson is "far and away" Minnesota's best receiver. That doesn't speak well for Greg Jennings, either. Rolando McClain: A failed drug test is not what you want heading into free agency. The Cowboys could actually benefit here; it's unlikely that other teams will want to take the plunge with McClain now. Jay Cutler: His money is guaranteed over the next two years, yet coach John Fox couldn't bring himself to commit to Cutler publicly. The Bears mentioned that they don't have to make any decisions until March, but really what are their options? They can't cut Cutler, and it sounds like they are just keeping things open-ended in case other teams come calling for a possible trade.